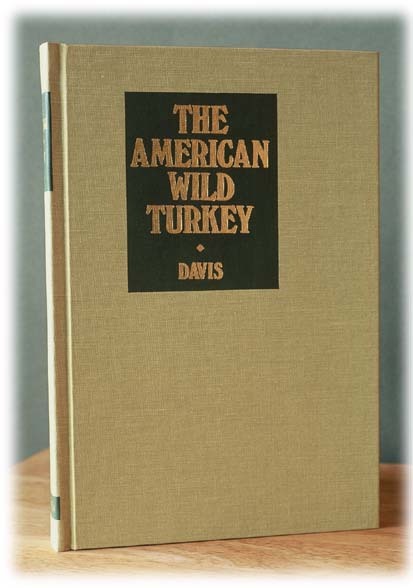 The American Wild Turkey by Henry E. Davis (1949) is one of the great turkey hunting classics. Written by an attorney and hunter in South Carolina when the turkey was a vanishing species. Exciting to read and great to have. This special reproduction is a replica of the original that has become impossible to buy at any price - 328 pages, illustrated. Disclaimer: Due to limited stock and being printed over 30 years ago, some books may have minor yellowing or spotting.
.:| After the Hunt with Lovett Williams | The Book of the Wild Turkey | The Art and Science of Wild Turkey Hunting | Studies of the Wild Turkey in Florida | Wild Turkey Country | The American Wild Turkey | The Wild Turkey and Its Hunting | Tales of Wild Turkey Hunting | Hunting the Gould's Wild Turkey in Mexico | Hunting the Wild Turkey |:.